Humayun’s Tomb is probably one of the most beautiful landmarks you can see in India after the Taj Mahal. 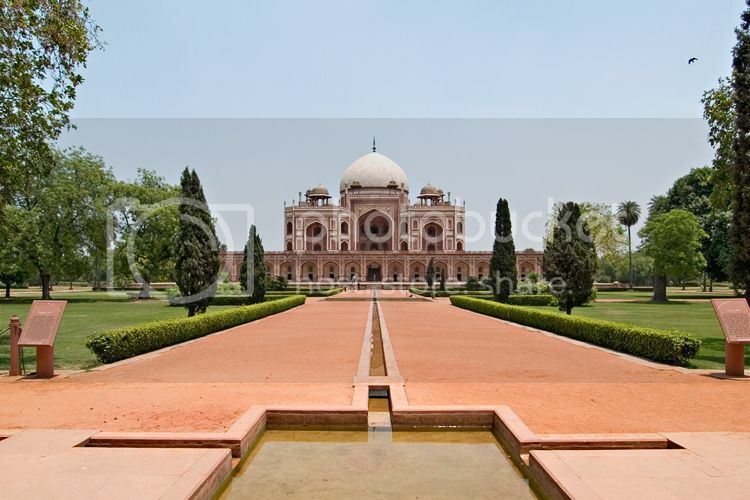 In fact, Humayun’s Tomb was constructed similar to the Taj, though Humayun’s Tomb was built using mostly red sandstone. Humayun’s Tomb is a nice place to enjoy pleasant walks while marveling at the stunning gardens and enjoying a bit of people watching. If you’re a history buff, you’ll also be able to enjoy a guided tour and learn more about Mughal Emperor Humayun and his tomb construction. Qutab Minar is definitely one of the sights to see in New Delhi India, especially since Qutab Minar is one of the oldest landmarks in New Delhi. In fact, the minaret of Qutab Minar, which was constructed of red sandstone and marble, it's over 500 years-old and it's the tallest in India. 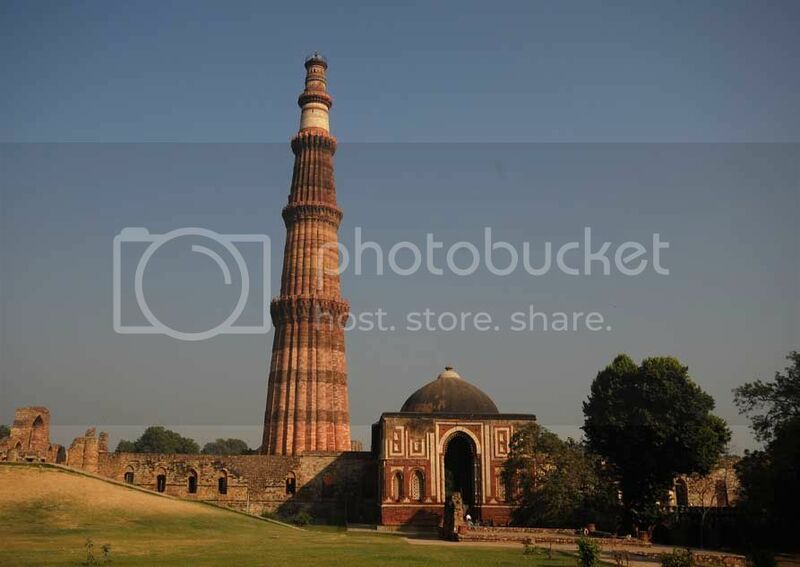 You can also take a audio guide tour of Qutub Minar if you’re interested to know more about its history. 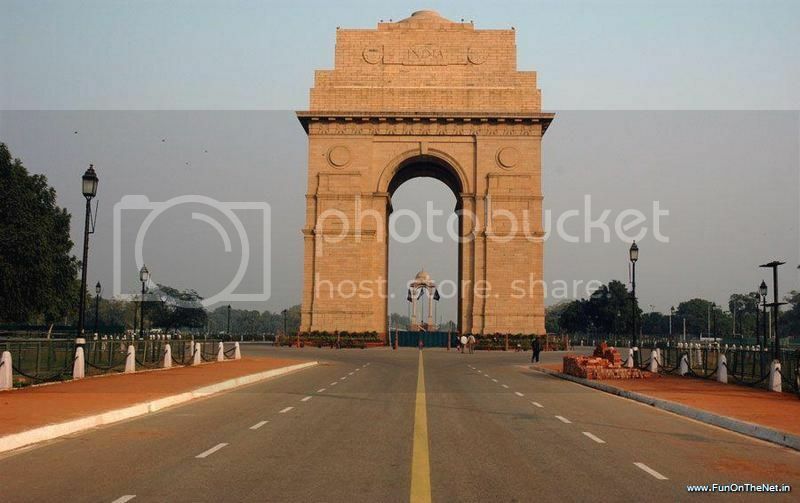 India Gate is another must-see site you have to visit during your stay in New Delhi as it offers a fantastic photo opportunity. If you’ve seen the Arc de Triomphe in Paris before, you’ll find the India Gate somewhat familiar since it looks very much alike, though the India Gate isn’t a triumph arch but a memorial monument for the Indian soldiers who died in the First World War. Swaminarayan Akshardham is without a doubt, one of the most iconic sights to see in New Delhi India as a tourist. Swaminarayan Akshardham is truly a wonder of Indian architecture because of the quality of the intricate detail of the temple carvings, which is simply remarkable! Besides taking amazing pictures of the temple, you’ll be able to enjoy a cool boat ride through a beautiful replica of a Vedic Village and experience India’s glorious past. Swaminarayan Akshardham also features a regular music fountain show and a film theater where you can watch the famous movie of Neelkanth Darshan the pilgrim. A visit to New Delhi India wouldn’t be complete without visiting Gandhi Smriti which is a museum built in honor of Mohandas Gandhi. If you’re a history buff, you’ll find the Gandhi Smriti a very interesting place to be to learn about the ideas and principles of Gandhi. You’ll be able to see rare mementos, artifacts, books on display belonging to Gandhi and even watch films made about his life. 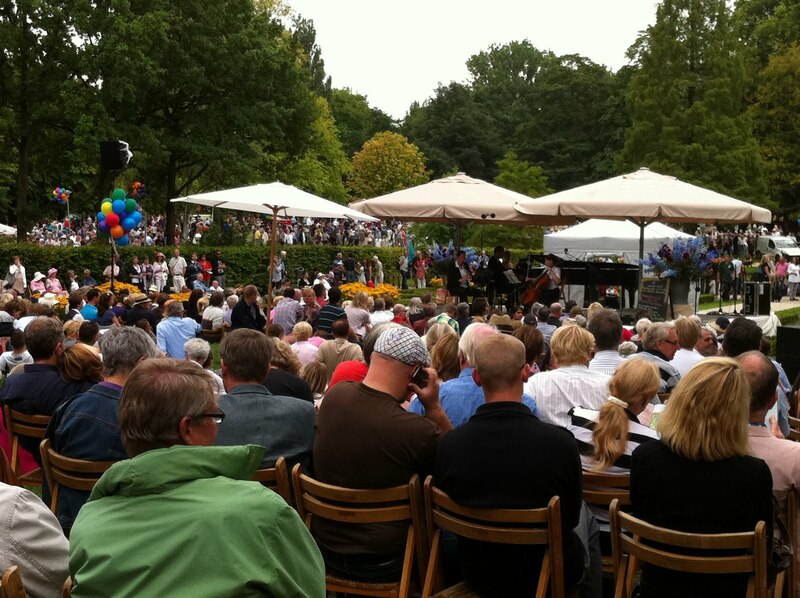 Besides, you can also explore the stunning and remarkably peaceful grounds surrounding the museum. Lodi Gardens may not be one of the major sights in New Delhi but after an entire day of visiting sites in New Delhi, you'll want to head somewhere to wind-down. Lodi Gardens provides a pleasant retreat from the hustle and bustle of New Delhi since you'll be able to wander through the beautiful parks and gardens. 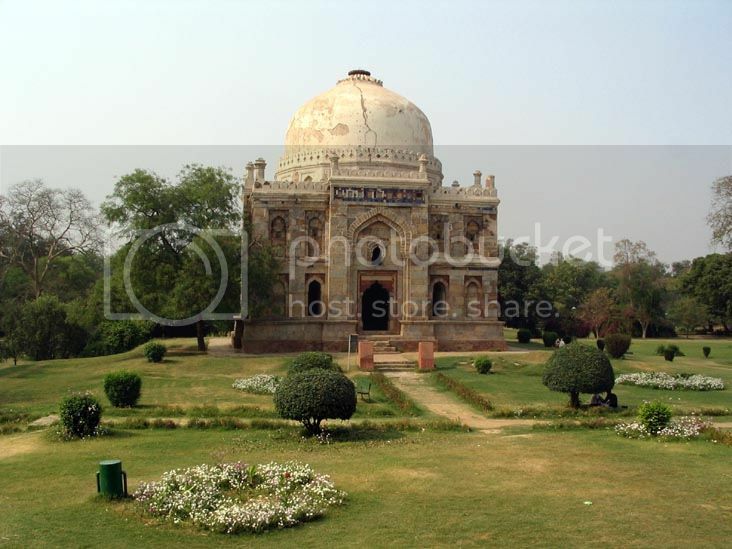 Besides marveling at the beautiful flowers and birds, Lodi Gardens offers some sightseeing opportunities of monuments and dome tombs which you can photograph. The Red Fort is probably one of the most popular sights to visit in New Delhi after the India Gate, and Swaminarayan Akshardham. 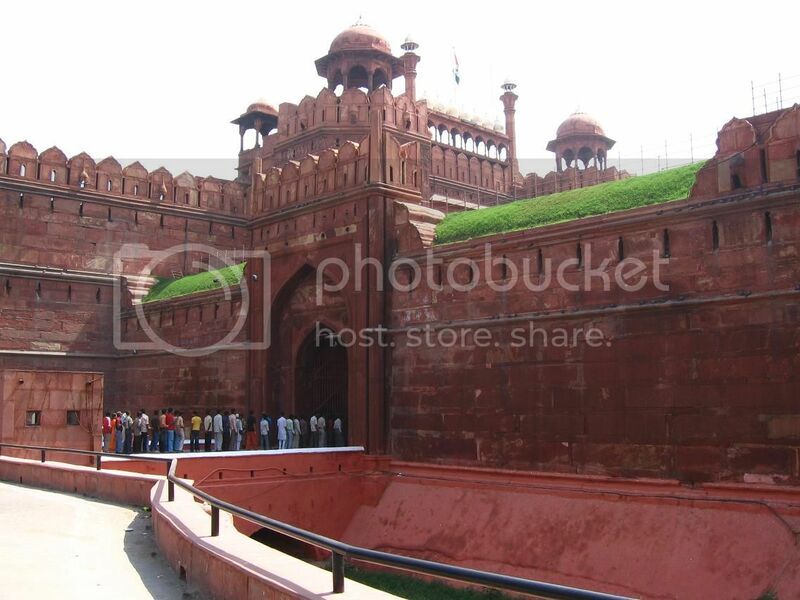 The Red Fort is located in the old town of New Delhi and it’s one of the largest and oldest landmarks in the city. The Red Fort boasts a neat little museum showcasing interesting artifacts such as swords, paintings, embroideries, and waterpipes, as well as calligraphy manuscripts from the Mughal era. The Red Fort also boasts a market (Meena Bazaar) where you can shop for colorful handmade bags, wood carvings, beads, etc.